Joseph Graves | Welcome to the EvoS Consortium! Dr. Joseph Graves, Jr. received his Ph.D. in Environmental, Evolutionary and Systematic Biology from Wayne State University in 1988. In 1994 he was elected a Fellow of the Council of the American Association for the Advancement of Science (AAAS.) In April 2002, he received the ASU-West award for Scholarly Research and Creative Activity. His research concerns the evolutionary genetics of postponed aging and biological concepts of race in humans, with over sixty papers and book chapters published, and had appeared in six documentary films and numerous television interviews on these general topics. He has been a Principal Investigator on grants from the National Institutes of Health, National Science Foundation and the Arizona Disease Research Commission. His books on the biology of race are entitled: The Emperor's New Clothes: Biological Theories of Race at the Millennium, Rutgers University Press, 2001, 2005 and The Race Myth: Why We Pretend Race Exists in America, Dutton Press, 2004, 2005. A summary of Dr. Graves’s research career can be found on Wikipedia, and he is also featured in the ABC-CLIO volume on Outstanding African American scientists. In November 2007, he was featured in the CNN Anderson Cooper 360 program on Dr. James Watson. 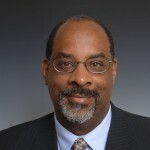 He has served as a member of the external advisory board for the National Human Genome Center at Howard University. In January 2006, he became a member of the “New Genetics and the African Slave Trade” working group of the W.E.B. Du Bois Institute of Harvard University, chaired by professors Henry Louis Gates and Evelyn Hammonds. He is currently serving on the Senior Advisory Board for the National Evolutionary Synthesis Center (NESCent) at Duke University. He has been an active participant in the struggle to protect and improve the teaching of science, particularly evolutionary biology in the public schools. In 2007, he became a member of the inaugural editorial board of Evolution: Education and Outreach, published by Springer-Verlag. He has been a leader in addressing the under representation of minorities in science careers, having directed successful programs in California and Arizona. He currently serves as a member of the board of the Guilford Education Alliance. From 2005 – 2009, he has been a leading force in aiding underserved youth in Greensboro via the YMCA chess program. How Does Creationism Harm African Americans?